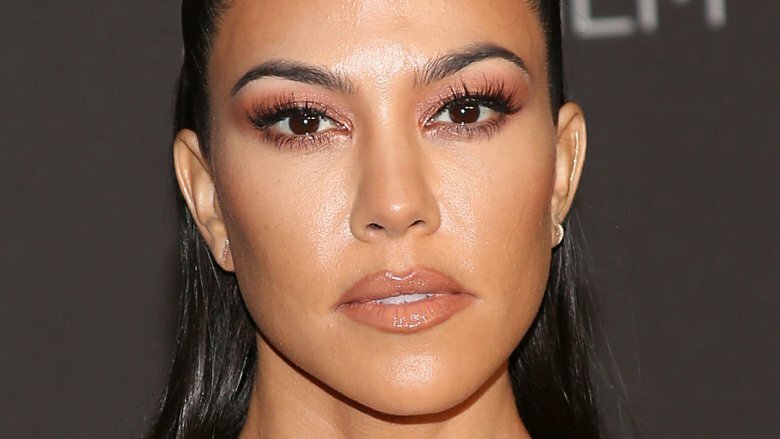 Is reality TV star Kourtney Kardashian expecting baby no. 4? During the week of Halloween 2018, the Keeping Up With the Kardashians star inadvertently sparked yet another round of pregnancy rumors with a series of social media posts, StyleCaster reports. "Bali was such a reminder that we have a choice everyday to be positive and let go of negativity, smile and help others," Kardashian wrote to her 69 million followers on Instagram, captioning a snapshot of herself with one hand on her stomach while on vacation. The 39-year-old added, "Be grateful." The mom-of-three later shared a number of photos of herself getting into the Halloween spirit with various costumes, including her own takes on an Austin Powers character, pop star Ariana Grande, and a Victoria's Secret angel — all of which happened to also cover her belly. Before long, these social media posts were flooded with comments questioning whether there's another Kardashian-Jenner baby on the way. "Is this Bish preggo? Maybe that's why she wore the VS one covering her stomach," one person wrote, while another commented, "Aw s**t she pregnant." It's important to note that at the time of this writing, Kardashian has yet to publicly comment on what is merely a social media theory. However, this certainly isn't the first time the television personality's been hit with pregnancy hearsay. The Dash Store mogul already shares three young children with ex-boyfriend Scott Disick: 8-year-old son Mason, 6-year-old daughter Penelope, and 3-year-old son Reign. And she's not exactly against the idea of further expanding her brood. As Kardashian, who recently split from Algerian model Younes Bendjima after two years of dating, told Cosmopolitan in 2016, "I would have more [children]. I could see myself with six kids. I just don't know what's in God's plan." Unfortunately, Kardashian also isn't the only celeb to face baby bump speculation in recent weeks. 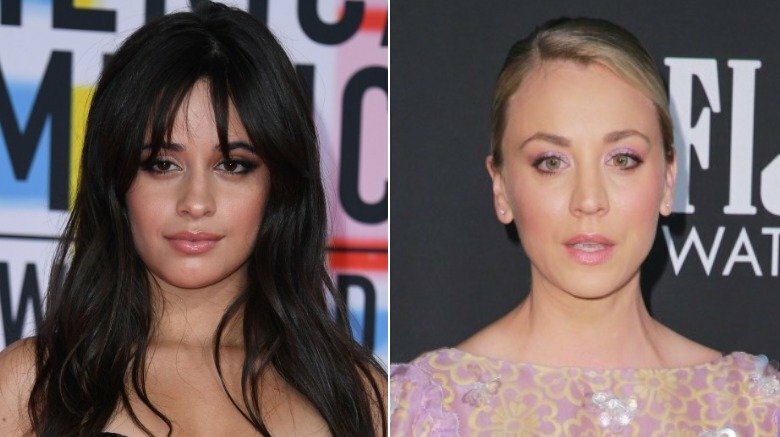 As Nicki Swift previously reported, singer Camila Cabello was forced to set the record straight after accidentally stirring up a round of pregnancy rumors on Instagram in late October 2018. "You're still the only thing I did right," the "Havana" hitmaker had written to her 26.3 million followers, captioning a pic in which one of her hands could be seen cradling her stomach. According to E! News, a number of social media users quickly took to the comments section to discuss whether Cabello and her rumored dating coach boyfriend, Matthew Hussey, were expecting their first child together. However, the "Crying in the Club" singer didn't let the speculation linger for very long, as she later replied, "Guys don't be crazy. I'VE BEEN TOURING AMERICA EATING DELICIOUS FOODS LEAVE ME AND MY BELLY ALONE!!!!!!" Just a few days prior to this, The Big Bang Theory's Kaley Cuoco took to her Instagram Stories to slam social media trolls who assumed she was pregnant based on her recent red carpet look at the InStyle Awards. "Now, would you ever walk up to someone on the street or at an event where they're obviously dressed up and say, 'Are you pregnant?' It's just so comedic and shocking that people would ask that," the TV star said at the time (via People). Cuoco, who married equestrian Karl Cook this past June, added, "I'm not pregnant. I guess it was a pregnant angle. Seriously, shut up." Meanwhile, elsewhere in the Kardashian-Jenner sphere, Khloé Kardashian made headlines this weekend when the latest episode of KUWTK covered boyfriend Tristan Thompson's cheating scandal for the first time. As Nicki Swift previously reported, the Cleveland Cavaliers star was caught on video allegedly cheating on his then-pregnant girlfriend with multiple women in April 2018. Later that same week, the couple welcomed their first child together, daughter True. Before the episode aired on Sunday, Nov. 4, the Revenge Body star took to Twitter and understandably called it "an uncomfortable and super emotional one" for her to watch, adding, "But when we signed up for this show over a decade ago, we signed up for a reality show, which meant showing you guys inside our lives, the good, the bad and the ugly." Luckily, her older sister Kourtney had her back throughout the difficult and highly publicized ordeal. "There is Nobody like @khloekardashian," she tweeted. "She is one of the strongest women i know. I am proud to call her my sister and soul mate."